The real joy of being a San Diego Realtor is helping people achieve the dream of home ownership. Continue to stay in touch after you have closed escrow on your home. This is the most important step in preparing to buy a home. Getting pre-qualified will tell you how much you can realistically afford to pay for a home. It will also help you when it’s time to get your offer accepted by a seller. If you need a recommendation for a qualified lender, please don’t hesitate to contact me. As your professional buyer’s agent, I track the local housing market on a daily basis and provide you with personalized recommendations and advice. The knowledge I bring to the search and negotiation process can save you money and time while alleviating frustration. My goal is to assist you in finding the home that best fits your needs in the most cost -effective and painless manner possible. Make looking for a home easy with regular e-mail alerts notifying you when properties matching your search criteria come to the market. As your search progresses, you can adjust these alerts to fine tune your search criteria. As a buyer, you need to be guided by your goals and dreams, not the hype and doom-and-gloom so often created by the media. While you must take broader economic forces into consideration, the decision to buy a home is based on your need for shelter, the desire to be more connected to your communit y and your long-term financial security. 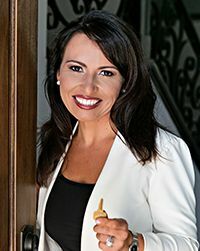 I look forward to serving as your Realtor and assisting with your next home search!